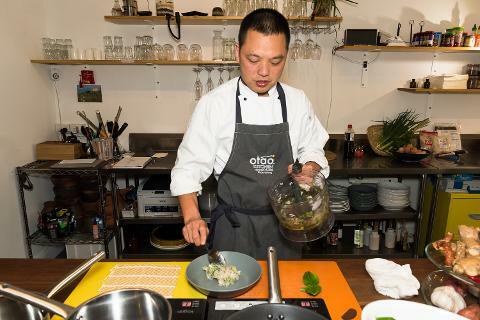 We've teamed up with the Chef experts to craft this exclusive Asian cooking workshop for you with flavours, smells and textures of gourmet delights from the true heart of India, Indonesia, Vietnam, Thailand, China, Japanese and more. 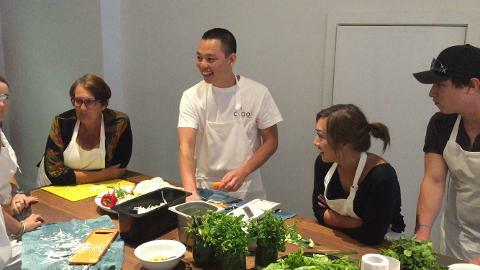 The workshop is for your personal cooking and aspirations where you will learn the principles of food sources, preparation and cooking with focusing on recreating healthy Asian dishes at home. This intensive classes will walk you through basic fundamentals of essential food safety, nutrition, market and shopping and knife skills plus many cooking methods. 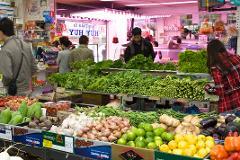 We will cover vegetables, salad, meats, fish and seafood dishes and cultural aspect of over 60 beautiful recipes. These cooking techniques can be also adapted into your kitchens with everyday budgeting and healthy food choices. This is one in a lifetime cooking experience for you to appreciate culture, food and people of this amazing region. With no more than 12 guests you will have endless opportunities to explore, to ask questions and to learn more from your chef instructor(s). Our hand-picked dishes offer the perfect blend for your healthy, unique and authentic meals at home. 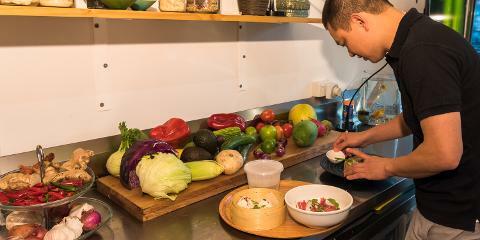 This is only cooking workshop over 30 hours of intensive learning and cooking in Australia. We teach everyday people how to cook with the right way. 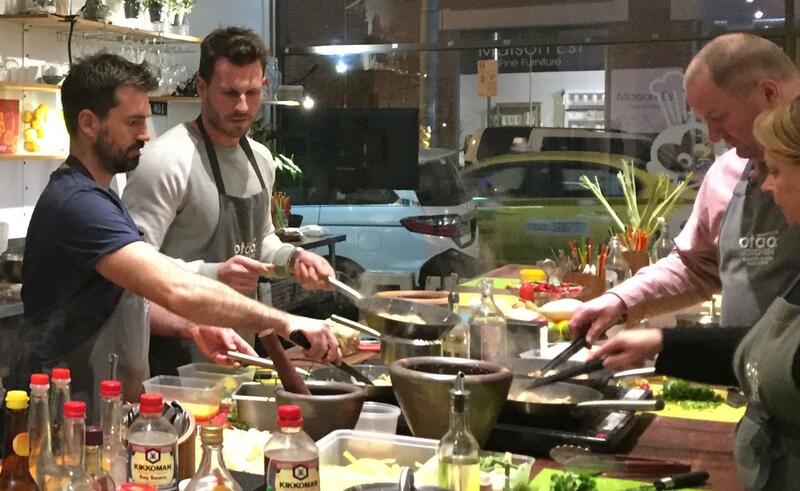 In this 5-day workshop with 6 hours each day, you will gain confidence in your kitchen, transition to a healthier diet and lifestyle or are a professional wanting to expand your skill set, we have something for you. We believe in hands on cooking lesson focusing on core techniques while developing confidence for our guests that challenge them master technique. Plus, you receive ongoing chef instruction and support and access through emails. You can start the course any time but we prefer you to start with the Day 1 or Lesson 1 to get our kitchen orientation. If you have done any of our class before then it should be okay to join in. We will run from Lesson 1 to Lesson 5. You can do a minimum of 3 lesson or day course out of 5 lesson or day course. Please indicate in the booking which day/lesson you will be attending. We run the class on Victoria school holiday only. 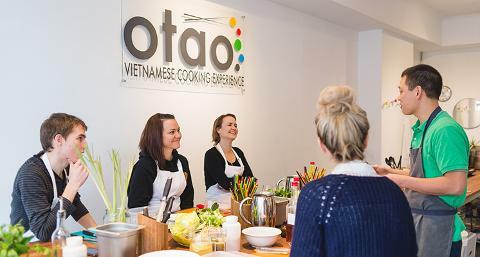 You can book this course for private cooking with minimum of 4 people. 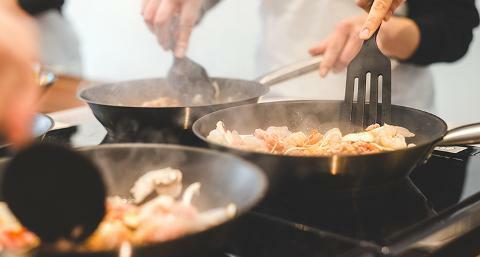 How to stir fry with wok or pan at home? How to make and use sauces? How to make salad and dressing? How to make soup and seasoning? Butter Chicken, a restaurant favourite you can make at home! How to cook rice, legume and gains?